Yesterday morning, I got an email from Google Drive and they said they would be deleting WhatsApp messages, photos and videos of users on their site and bla bla bla. 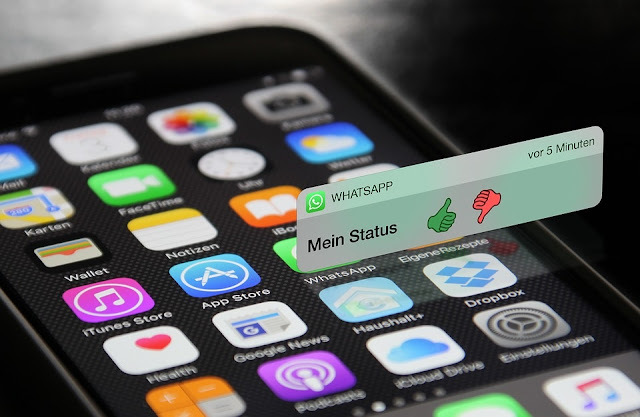 You know that world top chat app, WhatsApp, which has over 1.5 billion monthly users needs so much storage speces to manage the number of data passed through them on a daily basis. The space is so much and they have to back these up on Google, as a means of extra storage. The duo (WhatsApp and Google) have been in this agreement for a long time now and from the email, there would be amendments. That was the email I got. That doesn't call for panicking because changes are bound to occur. 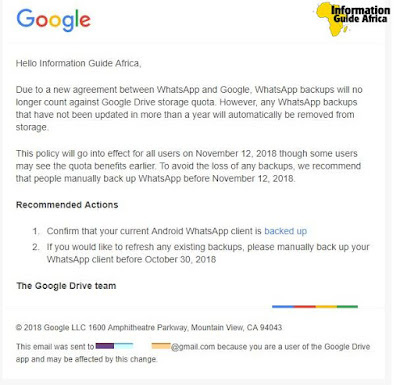 This new agreement means that backing up your WhatsApp data will no longer cost you any part of your default space from Google, which is normally only 15 GB. To do this backup, please make sure you already have Google Drive installed in your device. 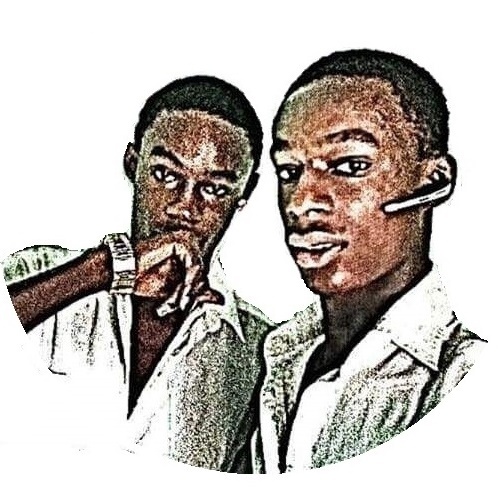 After that, open your WhatsApp app and click on Menu > Settings > Chats and finally Chat backup. If you experience any difficulties, try updating with WiFi or changing your network settings to accommodate mobile networks.